December 25 is the most magical day of the year – even if you’re too old to believe in Santa Claus. And like every other day of the year, it’s got its own dedicated food holiday. Christmas Day is also National Pumpkin Pie Day! Which makes sense. 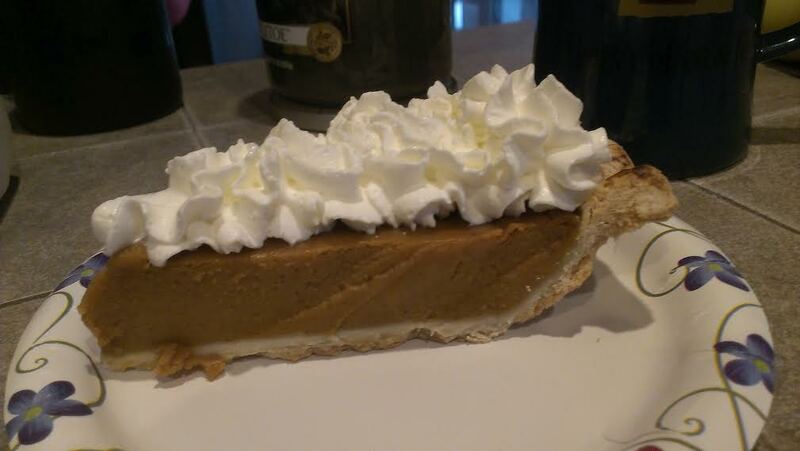 Pumpkin pie is a traditional autumn/early winter dessert most often served on Thanksgiving and Christmas. It consists of pumpkin custard baked in a pie shell and flavored with a variety of spices including cinnamon, nutmeg, cloves, and ginger. Most people use canned pumpkin, since it’s easier to work with (and every bit as delicious). Pumpkins, which are native to North America, have been used as pie fillings for centuries; Hannah Woolley’s The Gentlewoman’s Companion, published in England in 1675, contains one of the earliest recipes. The dish didn’t really catch on in America until the early 19th century, when it began appearing as a dessert course following Thanksgiving dinner. You’re probably busy unwrapping gifts or spending time with loved ones, so we won’t commandeer too much of your attention with a food-related blog post. We had frozen a couple slices of pumpkin pie from Thanksgiving, and defrosted them to enjoy on Christmas morning. They still tasted surprisingly good. We hope you have a wonderful holiday! Perfect dessert to top off a great meal! And we had missed out on pumpkin pie over Thanksgiving, since we were more into the hot pumpkin cobbler I made. So this was especially welcome today!